Have you ever wanted to give air dry clay a try, but you are not really sure where/how to start from? Have you ever wonder how realistic dollhouse miniatures french bakery bread are created using air dry clay? 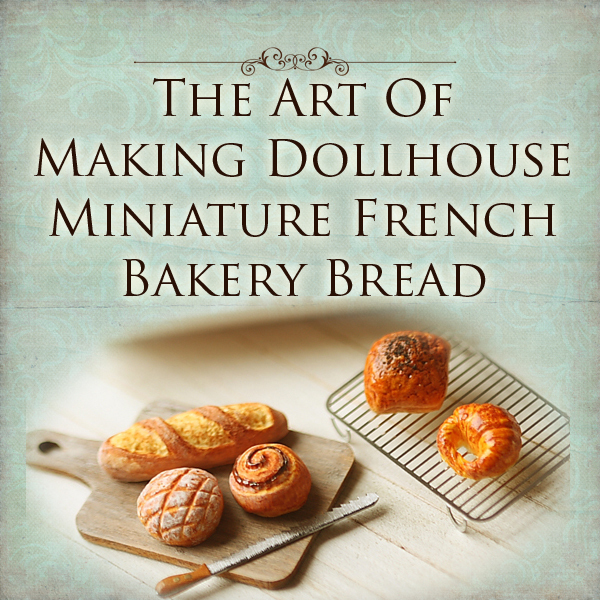 You will be learning the art of making dollhouse miniatures french bakery bread in this online PDF tutorial! 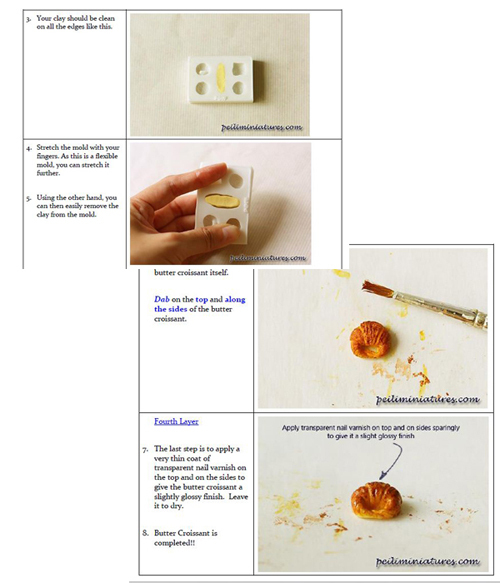 This online PDF tutorial is especially written and created for customers who have previously bought/are interested in the miniature clay push mold for dollhouse miniature french bread. Follow my step by step tutorial with colored photo descriptions and instructions to achieve realistic looking dollhouse miniature french bread using painting techniques! Please note that this is NOT a sculpting tutorial. This online PDF tutorial will be most suitable for beginners who wish to learn to use air dry clay to create 1/12 dollhouse miniature scale french bakery bread. Dollhouse collectors who are interested in giving it a try to create their own dollhouse bakery will find this tutorial useful too! You will receive a PDF file within 24-48 hours after you have made your payment. If I am right beside my computer after you make the payment, you will receive it pretty soon! Please indicate your email address when you purchase, so I know where to email the file to. You will also require Adobe Reader in order to read the file. If you do not have the software, you can download it for free at http://get.adobe.com/reader/. Note: Due to the nature of this digital product, no refunds or exchanges can be made once purchased. I am grateful for your understanding! Please note that the contents in this tutorial are copyrighted. No part of this tutorial may be reproduced, shared in full or partially, blogged or transmitted in any form by any means graphic, electronic, or mechanical without the author’s permission.